Known for his honesty and integrity, as well as his signature bowties and colorful San Jose State University (SJSU) Spartans’ jerseys and caps, Robert (“Bob”) W. Foy passed away on June 9 at age 80. He was born in San Francisco, raised in Palo Alto and settled in Stockton in 1962 after graduating from SJSU and serving in the United States Army. In 1977, Foy became president and CEO of Pacific Storage Company and joined the Board of Directors of California Water Service (Cal Water) when Stockton was Cal Water’s largest service area. 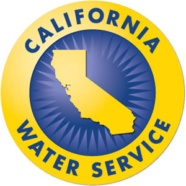 He retired as Chairman of Cal Water’s Board in 2012 and from Pacific Storage Company in 1995, where he remained on the board for several years. 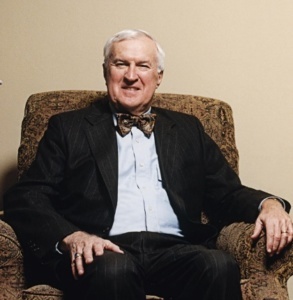 In 2009, Foy was named “Stocktonian of the Year,” the city’s highest honor. He also received two of the Spartan Foundation’s most prestigious honors, the Dan Caputo Founder’s Award in 2011 and the Alan & Phyllis Simpkins Tribute Award in 2015 for serving his alma mater for 50 years. Foy held leadership positions in several organizations, including United Way of San Joaquin County, the Greater Stockton Chamber of Commerce and St. Joseph’s Medical Center’s Board of Directors. Cal Water is establishing an endowment in Foy’s honor to provide scholarships to San Jose State University student athletes. To contribute to the Robert W. Foy Memorial Scholarship fund, contact Mike Chisholm of the Spartan Foundation at 408-924-1218 or mike.chisholm@sjsu.edu.